At least 17 dead, over 60 injured during heavy flooding in Iran | We Seek the Truth! 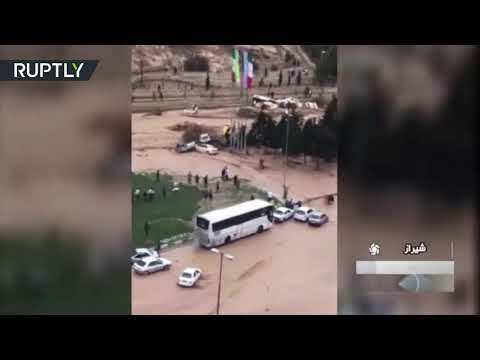 Footage shows people being swept away by the tides as cars try to maneuver through the flooded streets of Southern Iranian city of Shiraz. The flooding comes during the Iranian New Year, meaning thousands have been affected, including tourists.